Go Fish Seafood Co., as its name implies, excels in seafood. Despite the small size, the restaurant offers amazing foods and services at reasonable prices, thereby beating other competitors in the area. Because of that, it easily gets full. So, if you are San Jose and want to visit the spot, you’d better make a reservation or go early. It is suitable for family and business meetings. Foods at Go Fish Seafood Co. 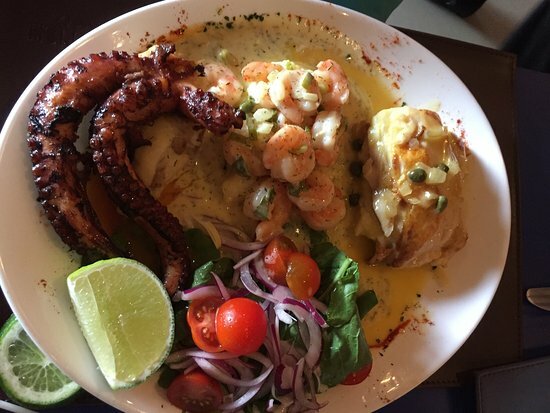 The restaurant has an extensive menu; the menu offers foods such as ceviches, shrimp, octopus, sauces, tuna tartar, salmon, risotto, rice, and much more. The seafood is excellently cooked with fresh ingredients. After whetting your appetite either solid food or drinks, you can then order octopus or get salmon. Both of the dishes are unbeatable. The tuna comes with mango and avocado. This is a blend of Asian cuisine with the local. The shrimp tacos come loaded with tasty veggies. After getting your dishes, you can now order a craft beer; you can also enjoy yummy natural drinks. The complimentary homemade drink, limoncello, will have your mouth watering. This dessert is well thought out; it will definitely be stuck in your memory. Services at Go Fish Seafood Co. The staff is professional and kind towards the clients. Since the menu is handy, the clients choose their food as soon as they arrive at the spot. As they do, the servers bring the food in a timely manner. Not only does the staff serve you dishes, they also make sure you are well treated. So, they are always around the tables checking on the clients. What’s surprising is that they offer freebies such as new flavorful drinks and dishes. If you are looking for a restaurant, based in Costa Rica, excelling in Mexican dishes, La Fonda Azteca is the right place for you. The Mexican food provided is so authentic that you will feel as if you were dining in Mexico. Though you may have hard time finding this restaurant, situated in an area filled with a lot of restaurants, when you actually find it, you will love it! With its many tables and chairs in the open area, this restaurant is filled with a lot of folks of the area. The menu offers dishes like Pico De Gallo, beef, cheese, salsas, fish, etc. So, you can either order the delicious beef or chicken blended with beans. Also, you can get lettuce sliced for veggies; if you like avocado, you can have at it. Pork is also available for those who are not allergic to it. You can also have great drinks here. Given their excellent cuisine, the meat is prepared in so many ways that each client will feel their dish as unique. As for the price, it is not high; neither is it low. It is just average. If you are looking for a restaurant where you can celebrate a birthday with family, Saul Bistro Pinares is the right place. This restaurant has great decoration with clean bathrooms. Exhibiting the beautiful nature, this is the only restaurant with this design in the area. The tables are laid in different ways with a lot of options as to where you’d like to dine, either inside or outside. The menu offers a lot of options: you can have traditional food of Costa Rica and international dishes. Preferably, you can order eggs raised in the site for the breakfast. You can also try smoothies. With the food brought in time and in great portions, you will have enough. After your meals, you get delicious desserts; you can either order a delicious Cortado or a tuna tartar. There is also Gracias a Dios, a great, tasty dessert you can also order. Not only does the restaurant offer food, it also offers great coffee. You can also have great beverages, such as drinks, beer, wine, teas and natural juice. With the roomy space the restaurant offers, you can choose whether you want to join small group or you would like to be in the midst of a lot of clients. You can also choose the outdoor environment on that beautiful garden with plenty of space. There you can catch some breeze around the plants. Inside there are some private rooms for business people. It also has excellent service. The staff pays attention to the clients; just a simple gesture you make, they come promptly to attend to your needs. They even demonstrate how they make their dishes—tasty Cappuccino. So, you know what you are eating. It is so rare to find a restaurant that would take some time to display its cuisine technique. Though the restaurant seems to be small, Tenedor Argentino offers enough space upstairs with a lot of tables laid for the clients. It feels like you’re served aloft. While it may be hard to find a place to park your car, once you find it, you won’t regret dining at the restaurant thanks to its great hospitality and wonderful services. The menu is vast: from steak, chicken, sandwiches, lasagne to tasty lemon pie, you can have a wonderful experience at a wonderful restaurant. You can enjoy empanadas with anything of your choice like mixing with your favorite drink. For the vegetarians, the servers offer an astonishing dish; with their excellent cuisine, they skillfully make a salad, which is filled with plenty of vegetables, and potatoes a delicious plate, called timbal vegetariano. If you are allergic to some foods, the helpful waiters can guide you to choose the right dish for you. For example, the delicious sandwiches, suited for vegetarians, will give you great taste. So, you won’t envy others enjoying their meat; you may ask for a salad with potatoes, another delicious dish for those are allergic to meat. The servers give their all to their services. Even the owner makes you a great company. He comes and sits at the table to make sure you are happy with the services. The restaurant offers great wine for every client. Upon the balcony, you can see the wonderful view of the city below, and hear its great sounds as if you were inside it. Servers also speak English. And, this attracts many foreigners to the restaurant. If you understand Spanish, you will be blessed with the proverbs on the wall. A great stash in San Jose, you’ll be glad you found this beautiful and wonderfully atmospheric restaurant, outshining the view of the entire city. 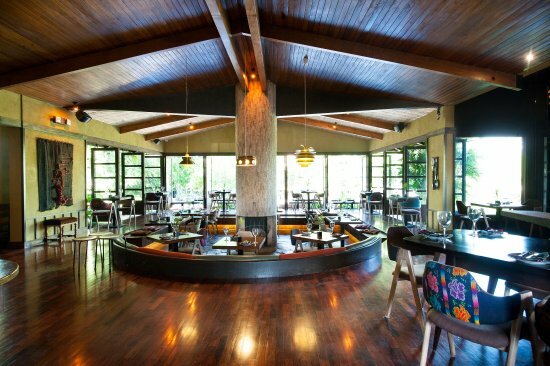 Though based in Costa Rica, the restaurant excels in Italian dishes given that the owner and the servers are from Italy. So, they prepare genuine dishes from their home country. Italian clients really feel as though they were home. So, if you are from Italy or are looking to taste these dishes, this place is the right one for you. It also has wonderful services. The food is very delicious. Take tiramisu, for example. It is wonderfully prepared and very tasty. The delicious lasagne comes with salt, in case you need more. You can get pasta and pizza on the menu, too. However, if you are that type of client who has to have an incentive like an appetizer to start with, you may be disappointed as there is no free appetizer. You could complain about the price. But, for well-prepared and delicious food, there is no reason to do so. What’s more, they provide a lot of food. So, don’t order more than you can finish, or you will have to take it home like leftovers. Not only does the restaurant have excellent food, it also has quality wine. There are two kinds of wine: you can have your preference, either white or red. With your table laid with nice cloths, you will be delighted with their offer of wine. You will be drinking in a great atmospheric restaurant. As an Italian restaurant, the servers speak Italian. So, clients who speak Italian are in great advantage, as they find it easy to communicate with the staff. Yet, don’t be daunted if you don’t speak perfect Italian, because the servers are patient enough to listen to you and help you with your orders and questions.